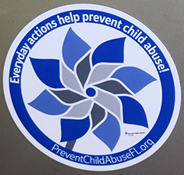 Offering Pinwheels for Prevention campaign resources and printed materials focused on healthy child development and important safety topics. The Sitting Blue Plush Bears are no longer available. 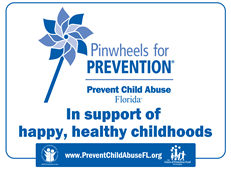 If you provide social services directly to children and families, you may be entitled to a discount on your purchase of pinwheels. Please call Nydia Ntouda at 850-921-4494, extension 202, to obtain your discount code. 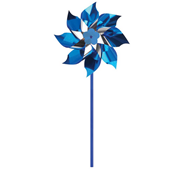 The pinwheels are blue and silver and measure 12" in height with a 7" diameter and are affixed to a blue stem. 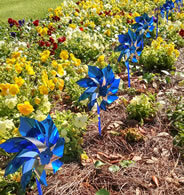 The pinwheels are intended for display purposes only. WARNING: CHOKING HAZARD—Small parts. Not recommended for children under 3 years. 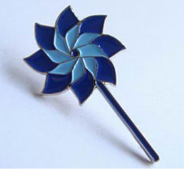 The lapel pins are 1-3/8" in height, made from Zinc alloy die casting with enamel, have butterfly clasps and come in individual poly bags. The bond between parent and child is one of the strongest connections in nature. Whether you’re a biological mom or dad, an adoptive parent or a stepparent, it is important for your child to form a strong bond with you. As with evey new skill your baby learns, falling asleep in a crib may take practice. 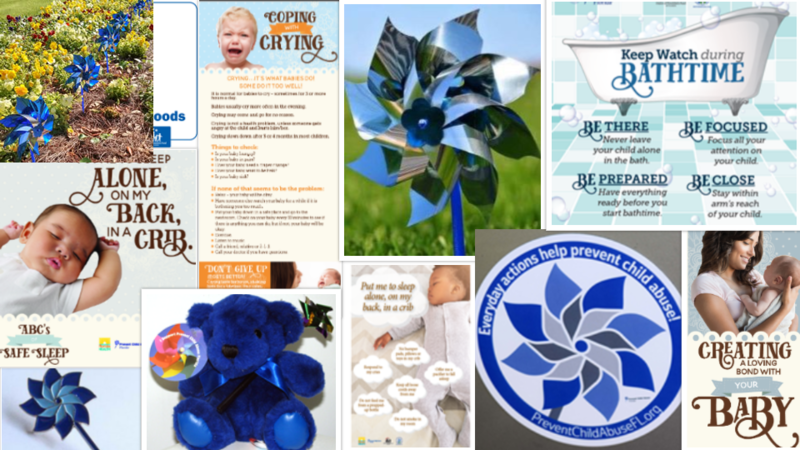 This rack card features highlights from our Coping with Crying flyer on one side and safe sleep tips on the other. Bathtime Safety Magnet (4" x 4") – These eye-catching 4" x 4" magnets share simple, memorable bath safety tips for parents of babies and young children. 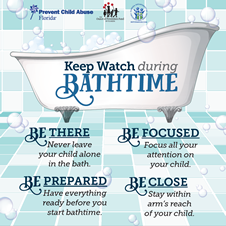 Urge parents to place them on the refrigerator or a magnetic location near the bathtub where it will be seen often. Sleep Talker Posters are poster size graphics designed for use on walls or any flat surface to promote Safe Sleep practices.